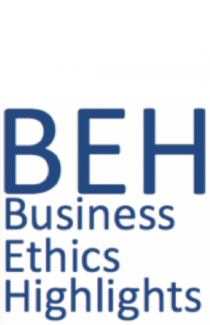 In addition to managing BEH, Chris and Alexei are also co-authors of a free, online resource called the Concise Encyclopedia of Business Ethics, which provides just what the title implies: brief, reliable overviews of key topics in business ethics and social responsibility. We have nearly 40 brief articles on everything from Corporate Culture and Ethical Theory to Globalization to White Collar Crime. Check it out!